This needs to be said and it was handled perfectly. I will be sharing this on Adoremus in Aeternum, a Catholiv Traditon facebook page. Father I agree with you 100% I wish someone would say something to the Pope but most Bishops are cowards,the Homosexual agenda has taken hold an people are afraid to speek the truth,I am afraid we are stuck with Francis till his death,I just hope the next Pope is orthodox an courageous an lead bye the Holy Spirit. I agree that most Bishops even Cardinals are cowards. He certainly fits all the conditions of a false prophet that St. Thomas Aquinas lays out in his sermon Attendite a Falsis (audio) that he preached in Paris on July 26, 1271, for the feast of Sts. Peter & Paul. Who is St Thomas Aquinas to be the last word on false prophets? Besides I don’t know that a Pope would be considered prophet. Do I think our Holy Father is doing harm? Yes. Is he a heretic. No. At one time in Church history n the papacy was claimed by more than one man. To think I am a prophet would be a grave sin. We have too many so called knowers of the future (magic) and far less saints in the making. do you even know what you are talking about? A Pope cannot change divine laws especially Commandments, dogmas. A POPE, may not change DIVINE LAWS , The COMMANDMENTS or DOGMAS, but he may use PASTORAL LANGUAGE to UNDERMINE such TRUTHS. That’s exactly what FRANCIS has been doing ever since he was put on the THRONE of PETER. That’s the language of LIBERALS and MODERNISTS, who ARE THE WORST ENEMIES OF THE CHURCH as Pope St. PIUS X CONFIRMED. FR. JEROME is ABSOLUTELY RIGHT and he JUST TOUCHED THE TIP OF THE ICEBERG. THE BLIND ARE NOW LEADING THE BLIND and unfortunately , the latter INCLUDES DECEIVED BLIND PRIESTS. This is a punishment of GOD for UNFAITHFUL CATHOLICS. we now have a POPE? who is introducing a NEW RELIGION, A NEW FAITH, A NEW SET OF MORALS , A NEW CHURCH ie. A NEW WORLD ORDER CHURCH, to the clamoring of SATAN. The exposé of the St. Gallen Mafia (Danneels et al) & their contention they were involved in getting Pope Benedict to resign & then rigged the conclave to elect Pope Francis is proof enough that PF’s election is illicit. They admitted they totally ignored the rules set down by JPII governing Papal elections. The support being shown by the vast majority of the Hierarchy is tantamount to Ecclesiastical Treason but who is going to go down that road, certainly not the present prelature. Even if an honest & traditional man was next elected to the Papal Office, he would have to sack the entire School of Cardinals & most Bishops & then rescind Vatican II in order to restore the CC. That would necessarily have to be followed by the Consecration of Russia to the Immaculate Heart of Mary & the revealing of the Third Secret of Fatima. It will be a monumental task that only God can bring about. much agree with you Ana but who will do it as we can see most Bishops, Cardinals and priests are cowards. They want their feathered beds and are afraid that PF who is known to be a bully will sack them. Our Lady of Good Council pray for us. I think Ana milan have spoken my mind. 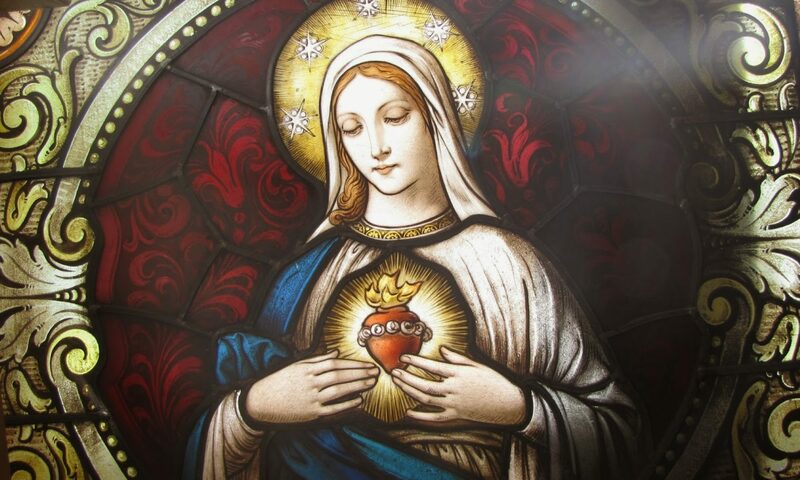 the early christains were prompt in response any task God gave them through reveletion but today for more than 60 years our mother mary asked for russia’s consecration to her immaculate heart but the pope acting under fear has succumbed to russia’s threat. I think we still needs to invoke God’s Holy spirit today TO EMPOWER the elders of the church. Thank you Father for your bravery to speak out. God bless you for doing so, many people are so confused. Many like how the pope speaks because it’s a lot less strict than previous popes. No “straight & narrow path” here to worry about. In my small circle of friends & family I have said many times that the Pope speaks and it sounds like a different religion altogether. I have been criticized and condemned as being “judge mental”. In these crazy times, just as predicted by Our Lady, people won’t want to hear the truth. May God have mercy on all of us. Please Father continue this series, provide guidance & reassurance for those who feel like they have dropped into a Catholic twilight episode. The sheep are scattered and being attacked daily. I had the privilege of meeting Father Carota and sing the Mass with him in Kinkora, Ontario a few years ago. I will be posting this on my blog, Vox Cantoris. Thank you father for saying something. It gives myself and many like myself pain when there is only silence or praise of this pope when he makes obviously statements which contradict the faith. You are brave Father… as was The beloved Father Carota. What you say- is truth, plain & simple. We live in the ‘days’ when we all make our choices. Judgement… is… unknown to so many who ‘blind’ themselves, just over the horizon. As a member of the ‘Church Militant’… I hope to be by your side when the final battle befalls humankind. I have a nagging question: Like many lay people, I’ve feel engulfed in a wake of confusion. If we believe Francis to be a False Prophet and that Pope Benedict is still the pope, should we still receive Holy Communion in any Mass, be it Novus Ordo or Traditional Latin or Latin Indult, in union with Pope Francis? I’ve been abstaining from Communion since Amoris Laetitia because I believe the pope is a heretic. My friends believe I’m wrong to do so, since I go to Confession monthly. They say the sin is his, not mine, but what of the sacrament and the danger of partaking of a Sacrilegious Communion? Thank you. Just because the pope says or does things that are not in accord with the teachings of the church, it does not invalidate the sacraments. Please remember, satan wants you to abstain from communion as it is a strengthening grace from God. The sacraments do not flow from the Pope down to us. When a Pope dies, do Catholics stop receiving the sacraments until there is a new Pope? Of course not. There is no reason for you to be depriving yourself of Holy Communion. You haven’t been depriving yourself of the sacrament of Penance! Look up “Donatism” on Wikipedia. I will change my ways. Looking up Donatism was of great help. Thank you so much for clarification as abstaining from sacramental communion has been miserable to the point of painful internal suffering. The impostor will invalidate the Sacraments. There are changes coming to the Mass. At a certain point it will no longer be valid, but an abomination designed to pay homage to the Beast…which no one should participate in for obvious reasons. Sadly, this wont be obvious to many, or most who will follow along blindly. Be vigilant, pay attention to changes. Find a priest like Fr. Jerome and prepare for times where those who desire to remain in the truth may suffer persecution at the hands of fellow “Catholics”…the true Sacraments will eventually only be found in hiding (for a period of 3 1/2 years). Until that time prepare spiritually by frequenting the Sacraments…trust that God will provide and protect. Amoris is not an encyclical. This is important. The article should be corrected. I also agree with this article. But those few brave prelates who have put their ‘toes in the water’ to gently ask for ‘clarification’ of the erroneous “Amoris” such as the 45 are now being persecuted. And the most faithful of Cardinals such as Burke, Sarah, etc. are all being set aside and the new cardinals are of the Francis persuasion so as to stack the deck for the next conclave. Even holy friends of mine are saying they like this pope and that they also think it is okay for divorced and civilly remarried to come to communion. Of course that means that all the marital theology is out the window. The list of bad things can now be in book form! Yes, we need a good holy man of courage and prayer for pope to repudiate all that has come out in the past three plus years. If a prophet is understood as a mouthpiece of God, and from scripture, a false one is the one who claims to speak for God when God has not sent them [cf. Ezek 13:5-7], and since it can easily and readily be shown that Pope Francis is teaching what the Church has not taught before and claims this is from the Spirit [i.e. the Holy Spirit], ergo Pope Francis is a false prophet. Is a pope automatically a prophet? Do we need to go back to Peter and determine if each “prophet” pope was false or true? THANK YOU and may God continue to bless, protect and guide you and may many more Priests also begin to speak. Here is a (long) chronological list of strange quotes and headlines since the beginning of Pope Francis to present – including the ones referenced here. Someone posted this in the comments of the post announcing the start of the 2013 conclave at Rorate Caeli. I think it says it all really about what was going to happen. You may be interested in this at the site CatholicStand: New Truth? Jesus’s Mistakes? God’s Errors? Take heart, it is Jesus’s Church, not Jorge’s. St. Thomas Aquinas said most Catholics are going to hell and most Priests also are going to hell. As a lay Catholic (myself), and I’m sure others wonder too, how do we as devout Catholics who must deal with non Catholic Christian who understand the elements assigned to Francis allowing for the accusations to be real explain that the Church, even knowing of his condition, will not fail and is not compromised? At last, a specific suggestion on what faithful Catholics might hope for: an “imperfect council.” That’s better than Card. Burke’s “just ignore what Francis says; it’s not magisterial teaching,” and “Stay faithful!” (as if we can when Pope Francis’ hierarchy is busy quashing any open faithfulness). But how does either ignoring him or assembling in “imperfect council” work when the First Vatican Council stated **as a matter of divine revelation** that “by divine ordinance, the Roman Church possesses a pre-eminence of ordinary power over every other Church, and that this jurisdictional power of the Roman Pontiff is both episcopal and immediate”? The Council continued, “Both clergy and faithful, of whatever rite and dignity, both singly and collectively, are bound to submit to this power by the duty of hierarchical subordination and true obedience, and this not only in matters concerning faith and morals, but also in those which regard the discipline and government of the Church throughout the world.” First dogmatic constitution on the Church of Christ, July 14, 1870, Ch. 3, section 2. And again, how do these suggestions work when the same Council taught, “The sentence of the Apostolic See (than which there is no higher authority) is not subject to revision by anyone, nor may anyone lawfully pass judgment thereupon. And so they stray from the genuine path of truth who maintain that it is lawful to appeal from the judgments of the Roman pontiffs to an ecumenical council as if this were an authority superior to the Roman Pontif.”? Id, Ch. 3, sec. 8. Thus the First Vatican Council seems to have closed off the road of a council, or any group of bishops, for that matter, declaring a Pope to be a heretic, as St. Robert Bellarmine seems to have contemplated. Now, in Church history, that was not always the case. The Sixth Ecumenical Council actually did condemn a Pope, Pope Honorius, as a heretic and excommunicated him in the year 681, albeit posthumously. Another Pope, Pope Vigilius, was arguably excommunicated as a heretic while living by the Fifth Ecumenical Council in 553, but there is some question of whether the Council fathers’ action of refusing to include the Pope in the commemorations (“diptyches”) during Mass (where before the consecration we pray for “___, our Pope, and ___, our Bishop”) was the same as excommunication. In that day and age, it probably was, according to what I have read. In any event, how can anyone, whether an “imperfect council” or otherwise, render a judgment on the Pope in some way that does not violate the anathemas of Vatican Council I? And if one Pope can condemn another’s writings as heretical later on, doesn’t that pretty much shred the idea of the papal ordinary magisterium? The Catechism of the Catholic Church explains the “Ultimate Trial” of the Church, where the faith of many will be shaken (CCC 675-677) by a religious deception which takes the form of apostasy from the truth. Now more than ever, we need to fortify ourselves with God’s word in obedience to the faith (CCC 144, 890, 891). As an RCIA Coordinator, I have allowed those who do not need Baptism or Confirmation to attend class because they are hungry for authentic Catholic teaching and in dire need of formation. Saint Paul, at 2 Timothy 4: 1-5 warns the faithful that many will accumulate teachers for their own ends turn away from the truth, and fall into myths. Stay strong my fellow Catholics! When we deny the Sanctity of the marital act, anything can become permissible, including the destruction of a son or daughter, residing in their mother’s womb. To deny the Sanctity of the marital act, is to deny The Divinity of The Most Holy And Undivided Blessed Trinity, rendering onto Caesar, that which, from The Beginning, Has Always belonged to God. God, The Ordered Communion Of Perfect Love, Is The Author Of Love, of Life, and of Marriage; let no one deceive you. It is important to note that denying The Divinity of The Blessed Trinity is apostasy, not heresy. Yes, that is correct. Good Point! As faithful Catholics we are all called to pray and fast for our priests. There is a rosary for priests that we should all be saying everyday. Our Pope especially. When there is error and so much spiritual warfare we need to pray, fast and love. I’m not saying I’m over looking the gravity of this situation but I refuse to turn on any priests, even ones that have left the church. The devil hates priests the most because without them we don’t have the sacraments and we don’t have the Eucharist. If a priest falls he takes the church with him. God’s love and mercy is greater then we can ever imagine, let’s pray together that one day when we stand before God we can have a clear conscience that we turned in faith to Him and that we loved and prayed for those in error. This is most disturbing but I’ so relieved that a priest can be brace enough not only to seek Truth, but also speak it openly. In 2005, the self professed “mafia” almost got Bergoglio elected, but he must have had a glimmer of conscience as his biography states that he was visibly shaken and stepped aside. 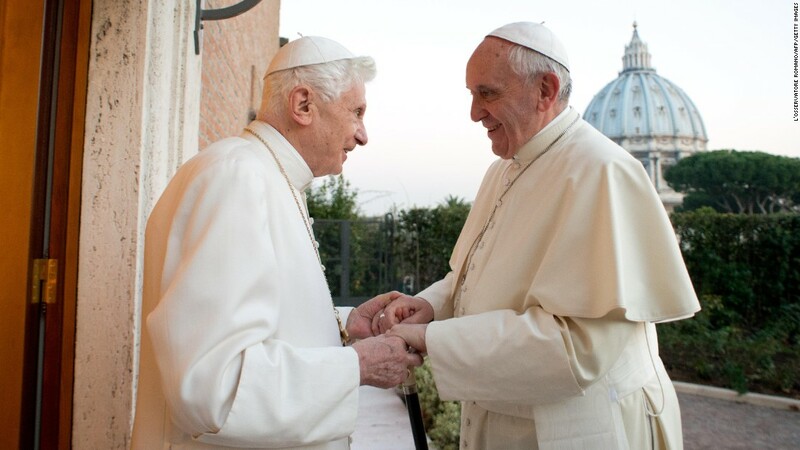 We were so fortunate to have had Pope BXVI for a number of years. How much damage has this poor fone on misdirecting souls. Numbers of Catholics dropped as he served as Cardinal over Argentina and they’43 dropping globally as well. His traits match those of Barack H. Obama in an eerie manner. When he’s off script ;with BO, no Trleprompters, he’s a loose canon. They both profess a firm belief in man-caused “global warming which is a socialist hoax to reduce population and destroy population and redistribute wealth globally. Speakers st the Vatican UN netting in 2015. The list is extensive.